Emrys Annual Meeting and Jacqueline Woodson April 10th! We’ll meet at Genevieve’s at 5:30 to have a brief business meeting and induct new Board members, then go together to the Gunter Theatre to hear Jacqueline Woodson, 2018-19 National Ambassador for Young People’s Literature. 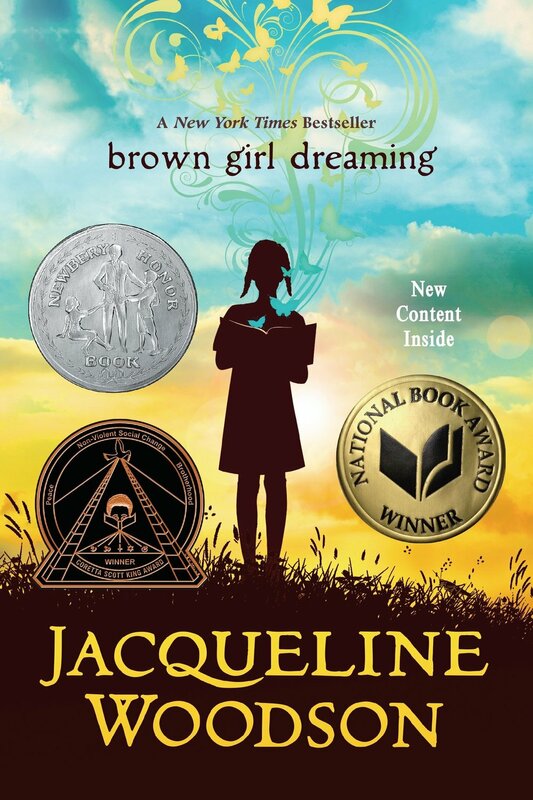 In celebration of national poetry month and as part of the Peace Center’s Poetic Conversations series, she will be discussing her book, Brown Girl Dreaming. This memoir reflects on Woodson’s time spent in Greenville’s African-American area of Nicholtown as a child and revisits the clash of the civil rights era from a young person’s perspective. This homecoming will focus on the power of poetry and dreams. The event is free and Emrys has reserved a block of seats. Please RSVP so we’ll know to save one for you. Fête Thursday Tickets Now On Sale! 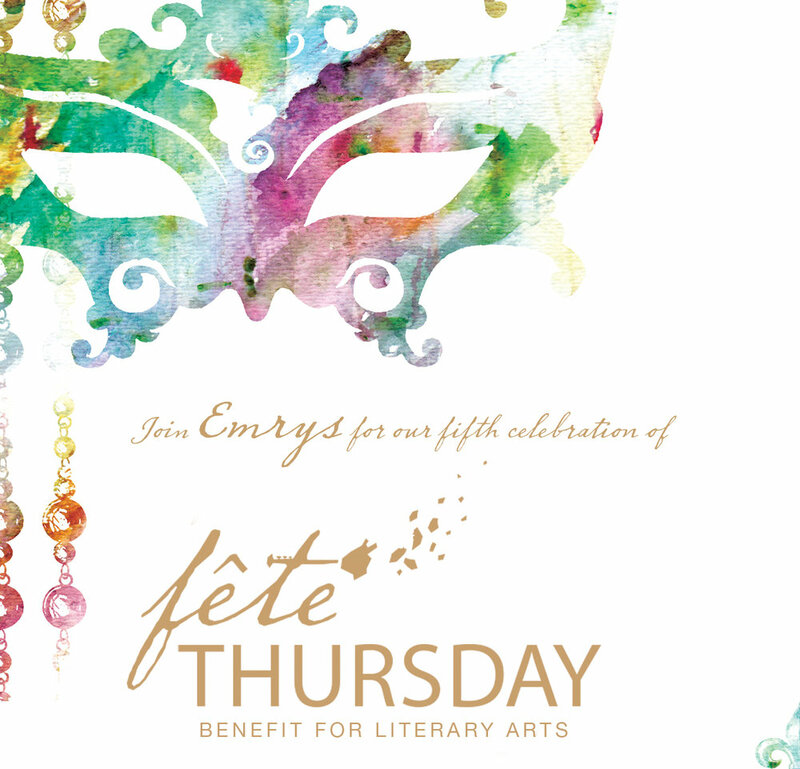 Fête Thursday, formerly Fête Tuesday, is the primary fundraising event for Emrys! .The gala is a Mardi Gras theme that was originally held on Fat Tuesday beginning in 2013. Mardi Gras attire and masks are encouraged but not required. The event boasts a silent auction including some of the Upstate’s leading artist, music by the Soda City Brass Band, and fabulous Cajun food! The Emrys 2019 guests of honor are Jeanet Dreskin and Alan Ethridge as Regina and Rex. Fête Thursday takes place on Thursday, March 7, 2019 at The L, 211 East Broad Street, Greenville, 29601. Festivities begin at 7 p.m. Purchase your tickets today! The Hub City/Emrys Writing Prize will be awarded in April 2019 for excellence in poetry or fiction. All entries must be received by midnight March 1, 2019. You must be at least 18 years of age to enter and a full-time resident of Greenville, Spartanburg, or Polk County, NC. Submissions open January 1, 2019. The winner will receive a full scholarship to Hub City’s “Writing in Place” conference July 20-22 at Wofford College. Full scholarship includes: meals, room and board, and a manuscript critique with a faculty member. Submit one unpublished short story or poem of no more than 10 double-spaced pages with 12-point type. You can make only one submission. Put your name and email address on a coversheet but not on the manuscript itself. All entries must be submitted electronically. Submit here. This contest is sponsored annually by the Hub City Writers Project of Spartanburg and the Emrys Foundation of Greenville. Board members and employees are not eligible for the prize. Winners may not submit in the year following their award. Last year's winner was Darlene Cah, and the runner up was Nancy Pemberton. Order your copy today. We expect books to ship by December!